Most Saturdays (and some Fridays during my lunch break! ), one can find me perusing my favorite nursery looking for the perfect new plant babies to take home. My apartment is brimming with furry, four-legged children, as well as green, sometimes furry, potted ones! When I was really little, we would visit my grandparents at their office downtown- a space in which they also lived- with an old-fashioned Coke machine in the back room, operas playing on the stereo, and where the scent of oil paint, tobacco, and butterscotch candies filled the air. When I wasn’t sitting atop a filing cabinet playing with a collection of small ceramic mice, gnomes, and other various fairytale creatures, I could be found by my grandmother’s side, watering can in hand, as she let me help her nourish the plants. Because it was it favorite activity to do there, I don’t know how I didn’t end up killing them all, since I begged to water them all the time! I still remember standing on my tippy toes in white stockings and Mary Jane shoes, tipping a pale blue watering can just over the lip of a pot, and pretending that the leaves and flowers were growing before my eyes. One of the most frustrating things about apartment living is the inability to have a truly magnificent garden. At my old house, I grew strawberries, nasturtiums, every herb you could imagine, snapdragons, hyacinths, gerbera daisies, dahlias, etc. 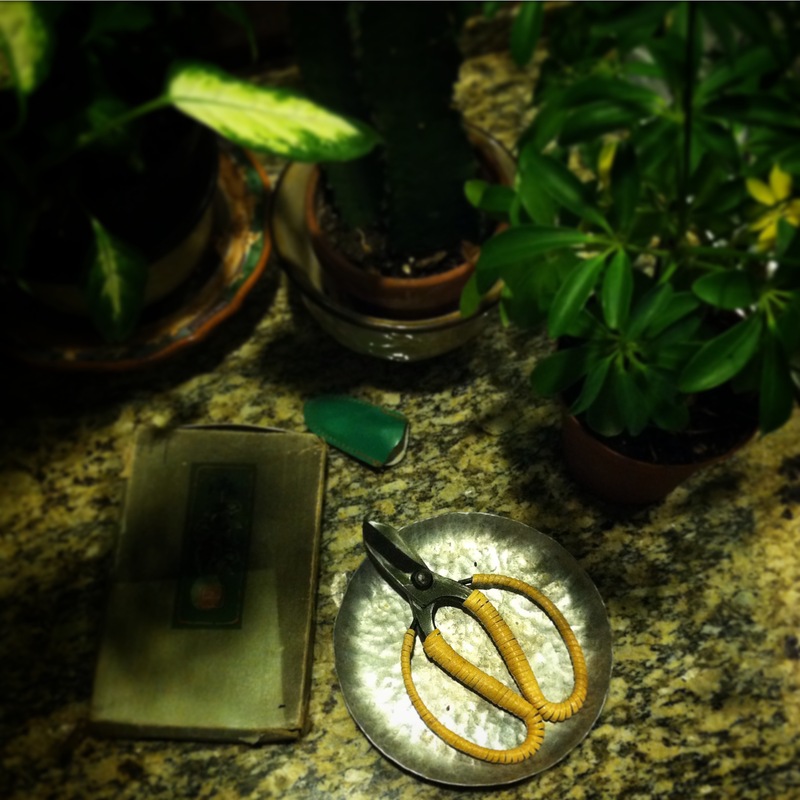 I’ve had to re-imagine how to bring the outside in, and in doing so, sharpened my green thumb. Ten years ago, I killed my first cactus-now, I have several who are thriving! So, for any of you who fear you have a black thumb, you may just not have found a type of plant that works with your sentiments and lifestyle. For example, ferns don’t really flow with me, but orchids are easy. I’m really enjoying finding new varieties of indoor plants that will bring the magical feeling I had as a kid into my home as adult. When we travel, I always look for greeneries, florists, or any shop that sells plants. 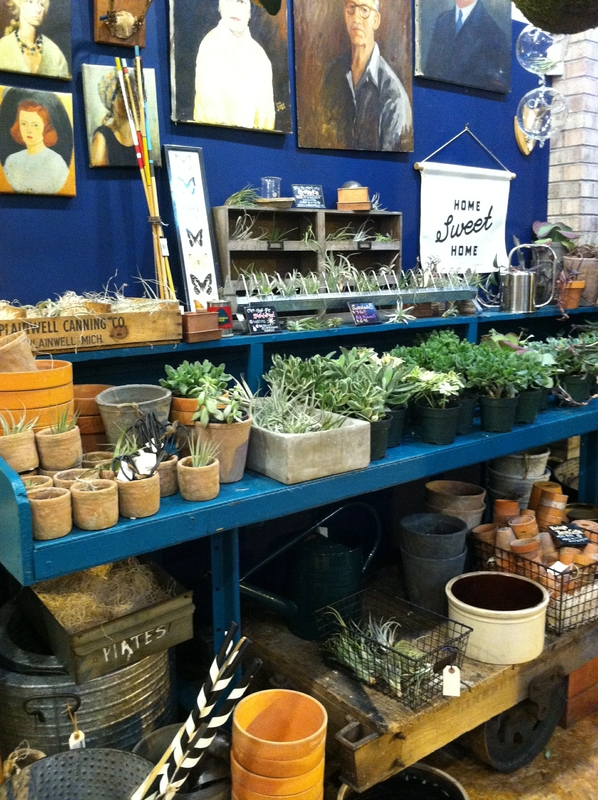 In Royal Oak, Michigan, one of my favorite shops has the most adorable collection of succulents. Rail and Anchor is pretty much one of the best home & gift shops ever. From Herbivore Botanicals to Found My Animal, they have something for every aspect of one’s life. They even serve hot tea! Their succulent collection, however, always leaves me wishing they could all fly home with us. Another store I like to visit is Nest, in the Cass/Canfield area of Detroit. I usually pick up some sort of stationary or violet candy, but what I really want is all of the air plants! This holiday season, they some really wonderful ceramic air plant containers that I still regret not buying. Those, and the watermelon ornaments! 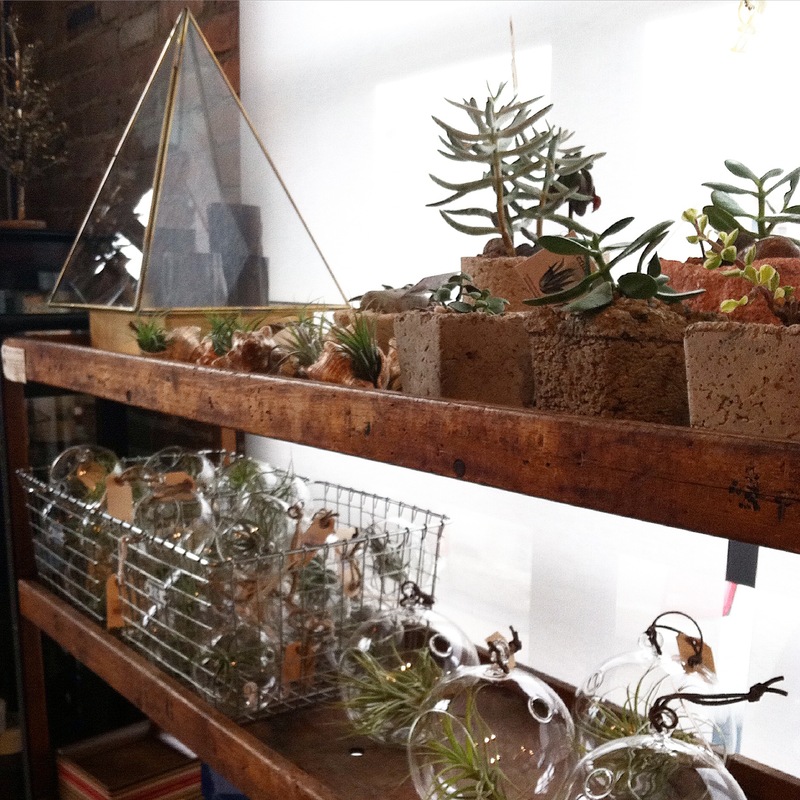 How gorgeous is that terrarium?! Since we didn’t go to the greenhouses this past Saturday, we went on our day off today. He’s a pretty good sport to put up with my indecisiveness, hemming and hawing to find the right plants to join our home. His sister and brother in law gifted me a beautiful terrarium over the holidays and I’d had yet to start to fill it, so I decided that today was the day to do so. I picked up one of my favorite moss varieties, Leucobryum, and a little dark green Peperomia. I’m going to have to take the terrarium with me next weekend, to pick out everything else! 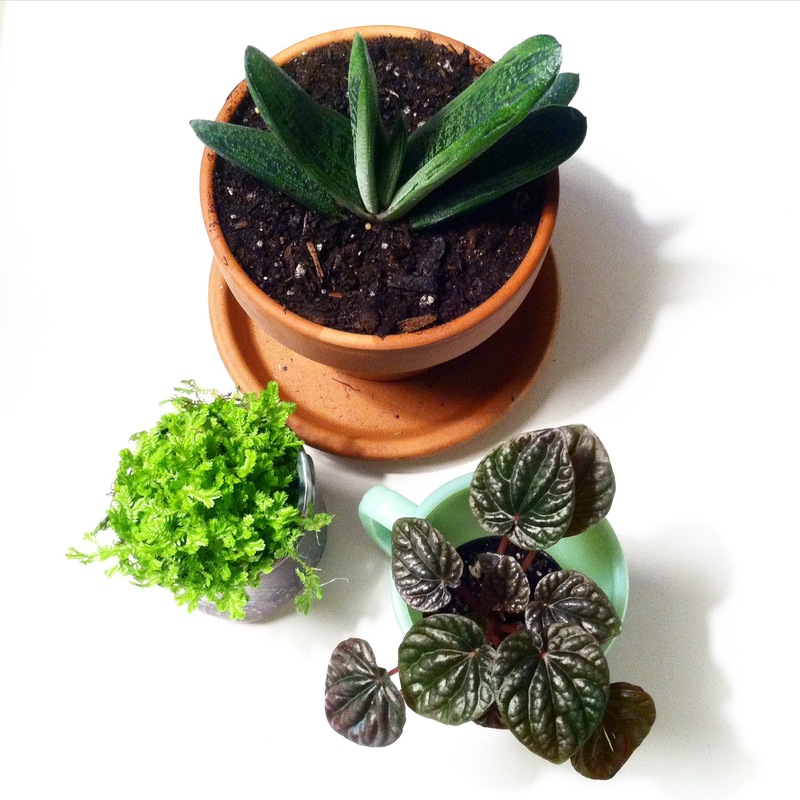 I also added a Gasteria carinata, an aloe-like succulent, to my plant family. 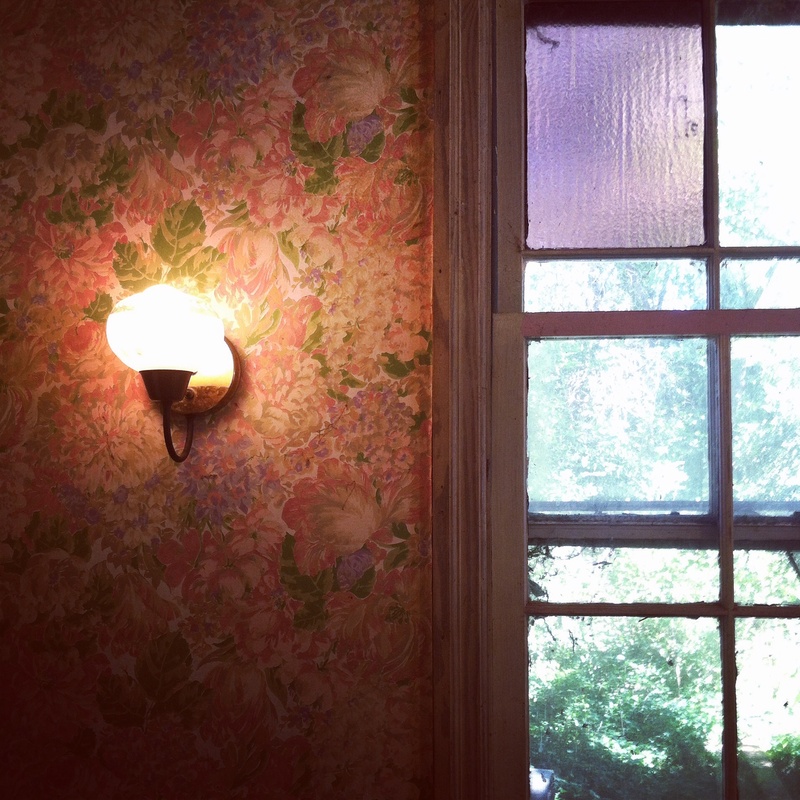 We went to the nursery just as the afternoon light was starting to fade, and had the hothouses all to ourselves. One of the cats who roam the property followed us around, and it was like being transported to a quiet, tropical getaway for the day. Do you have any hobbies that you were interested in as a kid, and cultivated as you became an adult? New plant babies, gin drinks aptly named “Fortune Teller,” vegan Pad Thai with friends, listening to the boy spinning sweet sounds, and sleeping in until noon- I’d say it was a success! How was yours? This entry was posted in detroit, garden, gardening, gifts, holiday, lifestyle, living, photography, plants, succulent, winter and tagged garden, gardening, greenhouse, peperomia, plants, succulents on January 20, 2015 by thebostonrose.